By Sean McDaniel: WBC middleweight champion Julio Cesar Chavez Jr. (44-0-1 31 KO’s) has received a lot of criticism from boxing fans throughout his nine-year pro career, in particular since Chavez Jr. won the World Boxing Council middleweight crown last year with a 12 round decision win over Sebastian Zbik last June. Instead of that quieting his critics, it seems to have brought out even more angry boxing fans, who upset that Chavez Jr. was able to capture a title and defend it. Chavez Jr. defeated well known contender Peter Manfredo Jr. in his first defense last November and now Chavez Jr. is making his second defense of his belt next month on February 4th against one of the more respected contenders Marco Antonio Rubio (53-5-1, 46 KO’s) at the Alamodome in San Antonio, Texas. A lot of boxing fans are already picking Rubio to win by knockout over Chavez Jr. and it’s as if they’ve finally found the guy that can give Chavez Jr. his first loss and take his title away him. But I’m not sure about that and I wonder if those same fans will give the guy some credit if he beats Rubio? 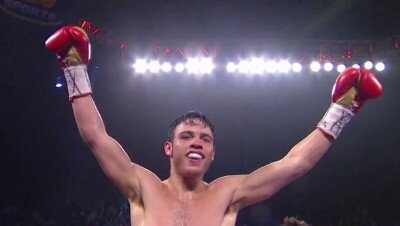 You kind of have to give Chavez Jr. some kudos if he’s able to beat one of the best middleweights in the division. There are a few arguably better middleweights in the division such as Sergio Martinez, Dmitriy Pirog, Gennady Golovkin, but being No. 4 isn’t that bad. That fits in perfectly with the amount of champions in the middleweight division and it shows that Chavez Jr deserves to be a champion. Rubio could win but his chances of winning are mostly limited to him being able to score a knockout. He’s dangerous early and if he can’t get to Chavez Jr. within the first six rounds, then the chances are low that he’ll be able to stop him.